A modern metropolis rising from Israel's Negev desert stands on the frontline of a global war against hacking and cyber crime, fulfilling an ambition of the country's founding father. David Ben Gurion famously said he wanted to make the Negev bloom. Today, in the streets of Beersheba, a city of 200,000, his dream is taking shape in a form he likely did not anticipate. Long a poor relation of hyper-modern Tel Aviv, Beersheba has traditionally been a refuge for poor, working class and Sephardic Jews of Middle Eastern descent. But the city in the vast Negev desert of southern Israel has experienced a rapid gentrification since the start of the decade, during which middle class neighborhoods have expanded. 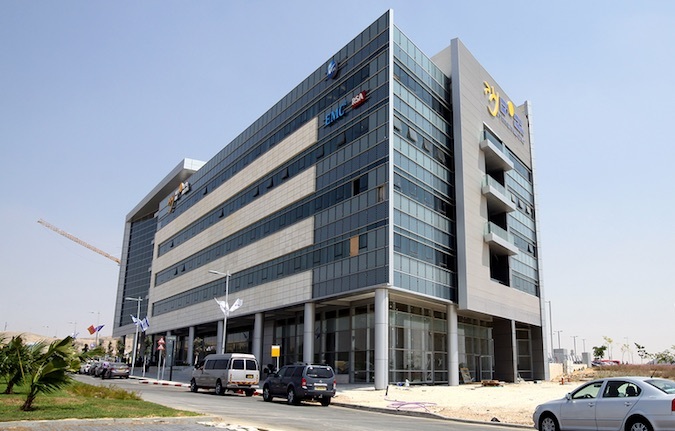 The real estate boom in Beersheba has been fueled by the city's ambition to be Israel's cyber capital, especially since the creation of its industrial park CyberSpark. Two ultra-modern complexes house a dozen Israeli companies, start-ups, venture capital funds and foreign groups such as Lockheed Martin, Deutsche Telekom, Oracle and IBM. Already, 1,500 technicians, engineers and researchers are hard at work. Many have been trained in the computer sciences department of the local Ben Gurion University -- part of a planned symbiosis between the university and the company, which are linked by pedestrian bridges. "We have established a perfect ecosystem with the integration of Israeli companies and foreign multinationals, the university and the foundation of the Israeli army specialised in cybersecurity, which will move from the region of Tel Aviv to Beersheba," said Tom Ahi Dror, a project leader at the Israeli National Cyber Bureau. Israeli Prime Minister Benjamin Netanyahu has spoken highly of the development, saying the close proximity allows "a physical interaction between security officials, academia and industry, in Israel and abroad". "They meet, they talk and they create together," he told a "CyberTech" conference in Tel Aviv, calling cybersecurity "vital" for a small country like Israel, which is faced with multiple threats and a favourite target of hackers. 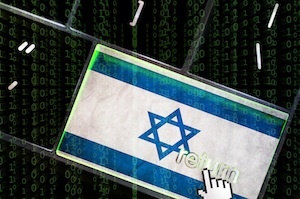 According to a study carried out in 2012, Israel "may be the most heavily targeted country in the world -- by hostile hackers, nonstate actors, and states -- with as many as a thousand web attacks per minute". Tal Elal, deputy mayor of the city, pinpoints the secret of CyberSpark's success: "We started from scratch four years ago and we designed a customised project to meet the exact needs of companies specialising in cybersecurity." Two more complexes comprising 27 buildings are to be added, and the municipality expects the population to grow by 100,000 in the next 10 years. About 30,000 soldiers, including 7,000 career officers, will move in the coming years to bases and a technology campus to be built on 100 hectares (250 acres) near CyberSpark and around Beersheba. As a lure from the bustle of cosmopolitan Tel Aviv, the government plans a bonus of $18,000 for single officers and $50,000 for families who spend at least five years in Beersheba. "We will do everything to integrate this population and avoid creating ghettoes where officers live, as has been the case in the past in other places," Elal said. For the private sector, the government is also offering subsidies equivalent to 20 percent of salaries for three years to company employees who settled in Beersheba. The state hopes to expand a sector which already has 250 companies of all sizes, Israeli and foreign, in the country. Last year, the sector's exports reached a record $3.5 billion, according to government figures. "Israel represents only 0.1 percent of the world's population but 20 percent of global investments (in cyber security)," said Dror. "Cyber ​​security has a very bright future," said Dudu Mimran, head of a Deutsche Telekom innovation laboratory based in Beersheba. "It is an endless race in which hackers are always one step ahead because it is they who take the initiative," he added. "And it is then up to us to respond to protect businesses, governments and individuals."